The list of the best places to eat at Disney World grows all the time. 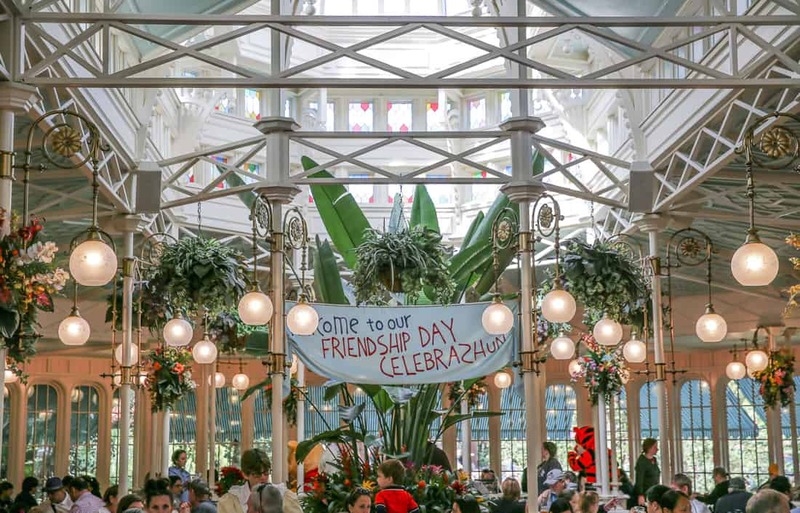 The last three years have been exciting for foodies looking for a good meal in Disney World. The newest restaurants that have opened in the parks, resorts, and Disney Springs reflect current food trends in ways that the older restaurants haven’t evolved as quickly and thoroughly. I’ve also seen a huge wave of new energy into healthier options in the last five years. The Mickey check meals for kids at every restaurant are a wonderful option to avoid chicken fingers and french fries. This is very important to us as parents. There are as many ways to define healthy eating today as there are Christian sects: plant-based, paleo, gluten-free, high-protein, or pescatarian. 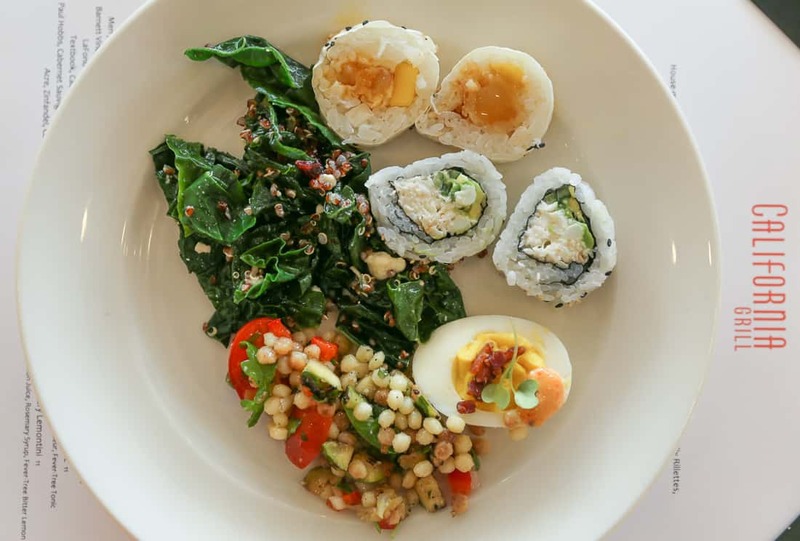 Regardless of which food belief system you adhere to at home, I highlight the best restaurants for foodies at Disney World that offer families quality and selection for a variety of diets that avoid processed and mass-produced foods. I cannot suggest specific items as menus change frequently at restaurants that prepare with local, seasonal ingredients. This guide is meant for those park-goers who prefer healthier options, because measuring a Disney restaurant by calories and decadence is a completely different list. I suggest the exhaustively detailed and excellent Disney Food Blog for that. This is the land of heat lamp Mickey Mouse waffles. Character dining comes with buffets both on and off-site hotels, and they are expensive. We never eat at more than one breakfast buffet per trip because we know our children will want to eat muffins and waffles before eating eggs or oatmeal. We like to do a breakfast buffet on a non-park day when we enjoy a lazy morning before an afternoon by the pool. 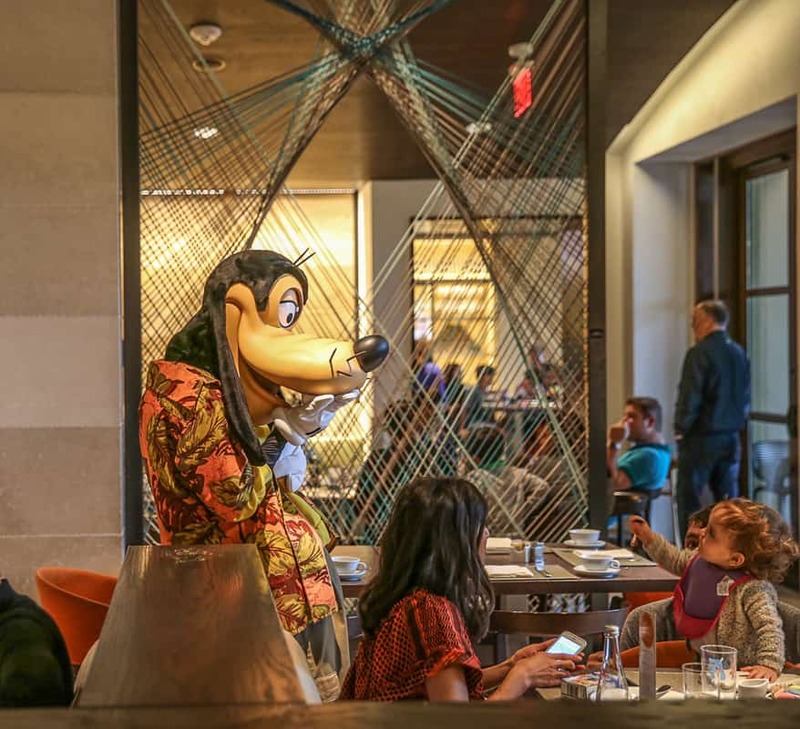 The best character buffet is the Breakfast with Goofy and Pals at the Four Seasons. The Four Seasons offers a character meal a head above the others. The food is significantly better quality than any of the breakfast options at the Disney resorts and parks. The experience feels less rushed, and you may even get to interact with Goofy, Mickey, and Minnie twice. Photos are added to your Disney Photo Pass account, too, but they are free to download. 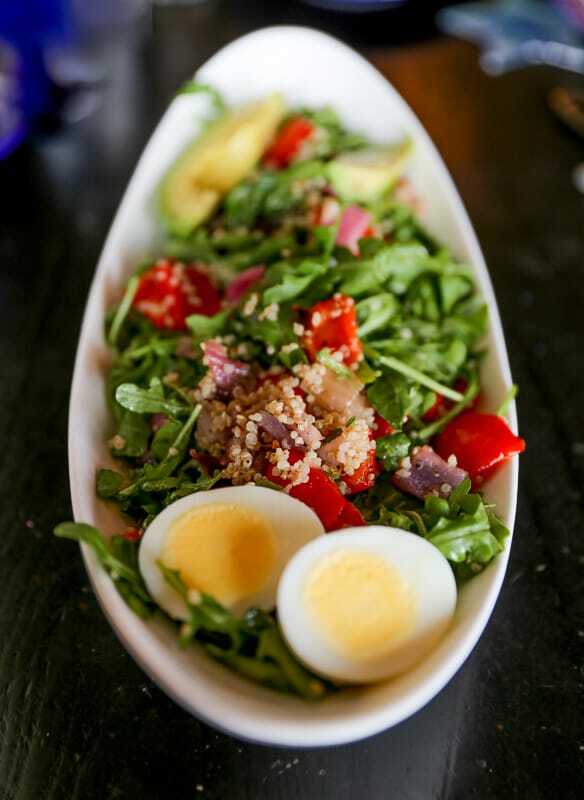 A healthy quinoa, egg, and avocado arugula salad for breakfast at Cinderella’s Royal Table. There’s a fresh juice and smoothie bar, though they are a separate fee. The buffet occurs two or three times a week, depending on the season, but Thursday and Saturday are the days you can count on to reserve. At our most recent breakfast at Cinderella’s Royal Table, I ordered their healthy option which was an avocado, quinoa, and arugula salad with vegetables. It was very good, but the children’s selection is much more limited. I had a comical moment where our server repeatedly tried to serve my son orange juice. I kept saying “No, thank you.” So then I turned his glass upside down. When the server returned and grabbed his glass and began pouring juice again, I had to put his glass on the floor hidden underneath my bag. She was determined. to get your questions answered when planning your next Orlando vacation. A great healthy hotel buffet is the Garden Grove buffet at the Walt Disney World Swan Hotel. This is a character experience certain days of the week, but the most impressive feature was the fresh fruit and vegetable smoothie bar that was included in the buffet price. Additionally, a nuts and seeds bar offered chia seeds, flax seeds, and a variety of other ways to boost smoothies and oatmeal. I think my family drank fourteen glasses of smoothies. 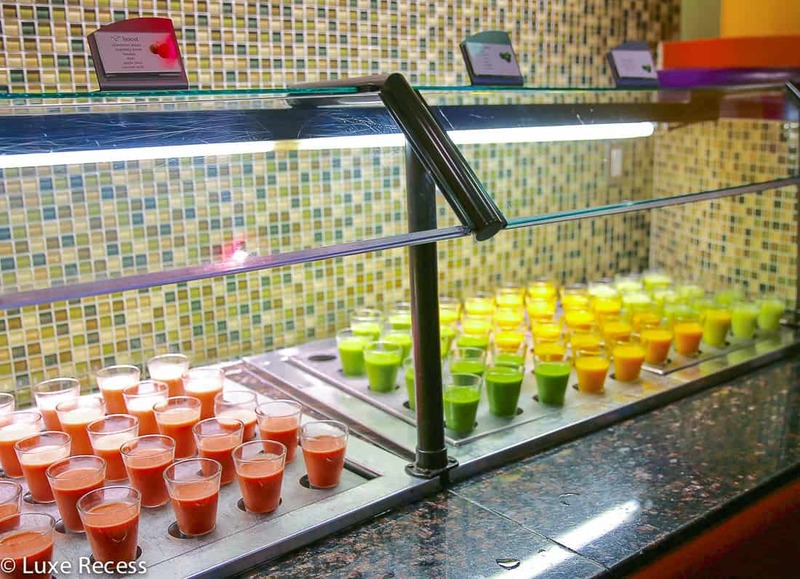 The Walt Disney World Swan’s breakfast buffet includes free smoothies and Westin healthy options. 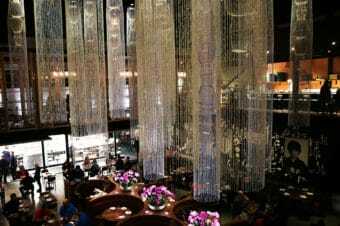 Other favorites of mine include the buffet at the Waldorf Astoria Orlando. This massive buffet has everything, but I loved that it was easy to get custom made options, too. My son and I had been on the road for a week, and I hadn’t been able to find many vegetables he would eat. I asked the kitchen for a plate of crudité, and it was delivered in a flash along with an excellent cappuccino. The Villas at the Grand Cypress can send a chef over to prepare your breakfast in your villa’s kitchen. 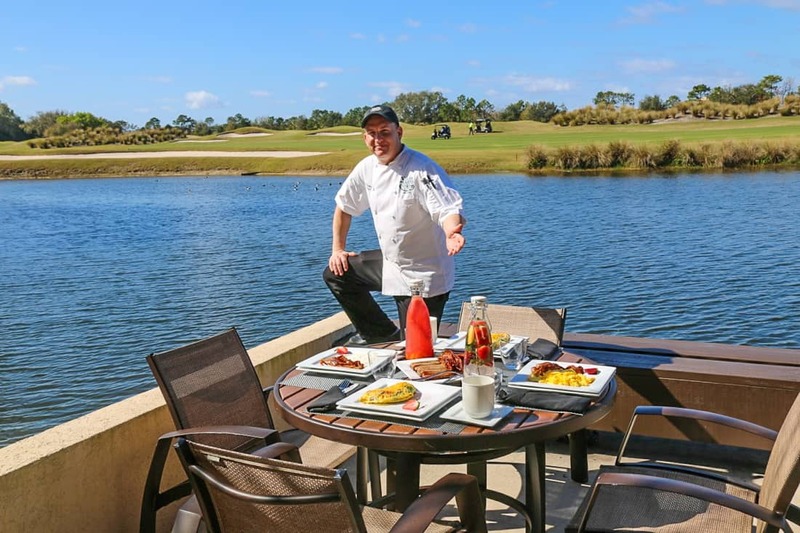 The Villas at Grand Cypress come with their own kitchens, but the resort sous chef will gladly arrive and prepare breakfast for you. Cinderella’s Royal Table is a bucket list experience to try at least once, but its reservations can be difficult to obtain. On park days, buffet restaurants are our best options for lunch because the variety ensures kids will have access the healthier foods they like. Buffets are the easiest, least stressful way to have character photos during your Disney World vacation. Characters from Winnie the Pooh invite children to march around the restaurant with them for a friendship parade at Crystal Palace. 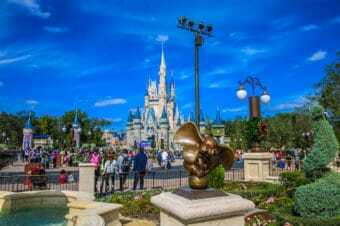 We always book the Crystal Palace for lunch in the Magic Kingdom and for an extended, air-conditioned break midday before the fatigue creeps in and an afternoon treat. Diners get to meet Winnie the Pooh, Piglet, Eeyore, and Tigger. I am always impressed with the options Disney offers in their salad bars. Maybe because the food in the Magic Kingdom sets the bar so low, but I’d even ask for the recipe for their edamame and black sesame seed salad. There are always fish dishes and vegetable options mixed with the standard beef and ham carving station. The kids’ buffet is not inspiring here: chicken nuggets, corn, mac n’cheese, but with supplements of green beans and broccoli from the adult bar, most families can eat well and fill up on “grow food” before the second part of the day. To prove my point, please notice in that Piglet can not get my son to put his fork down. 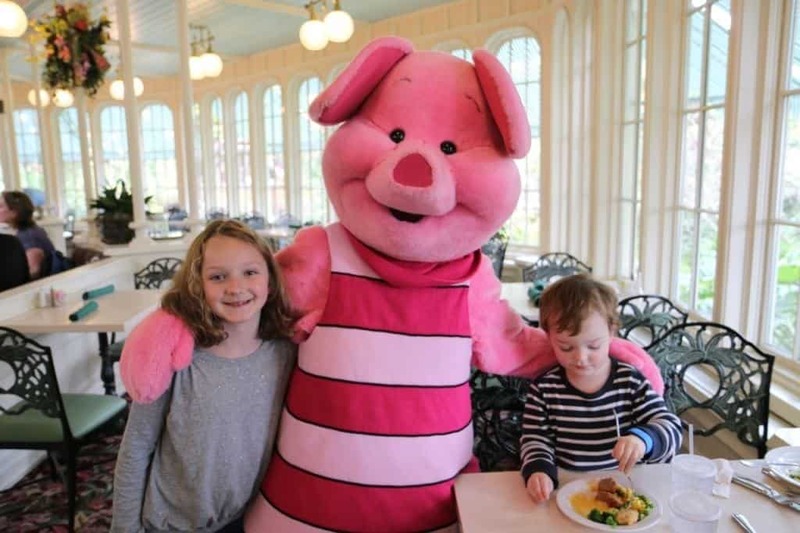 Notice my son won’t stop eating for Piglet at Crystal Palace. My favorite moment of Disney service was dining at Crystal Palace on our last trip. The weather turned rainy very quickly. I looked out the window at our stroller that was about to get soaked. I saw two Crystal Palace employees closing the hoods of all the strollers or covering them with large clear plastic bags to keep them dry. Pure awesome. The Jungle Navigation Co. Ltd. Skipper Canteen is the newest restaurant to open in Magic Kingdom, and its fusion menu is a big step up from Liberty Tavern or those frightening turkey legs. This is a great fall back option, as they still seem to have availability most of the time. The sustainable fish served over vegetables in a lemongrass broth was excellent and light, though my fish portion was really small, which one can only assume was part of their sustainability strategy. 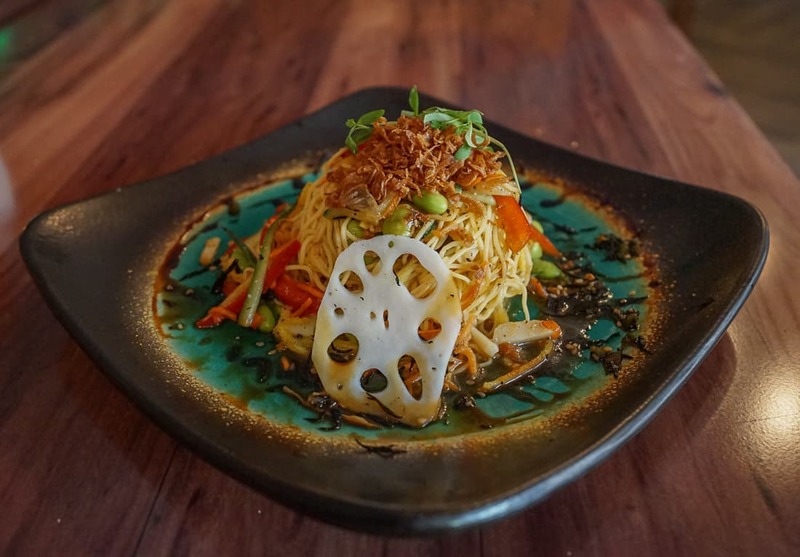 The Shiriki Noodle Salad from the Jungle Navigation Co. Ltd. Skipper Canteen at Magic Kingdom. Sometimes you just need a fast meal, and Columbia Harbour House is where we eat near the Haunted Mansion. Guests can order grilled salmon with steamed broccoli entrée as an oasis of the fried food offered at the other quick service restaurants. Tusker House in Animal Kingdom works well for lunch like Crystal Palace in that the expansive buffet is sure to have the healthy options your kids will eat when trying to give them some fruits and vegetables. The Tusker House buffet offers so much variety, and it is sure to cover most bases of different diets. Its characters— Mickey, Minnie, Daisy, Donald, and Goofy— are easier to see here than the over-hyped Chef Mickey buffet at the Contemporary Resort, but if Mickey is who you came to see, stick with the Four Seasons Breakfast With Goofy. Tusker House at Animal Kingdom offers lots of healthy options and a chance to meet characters. 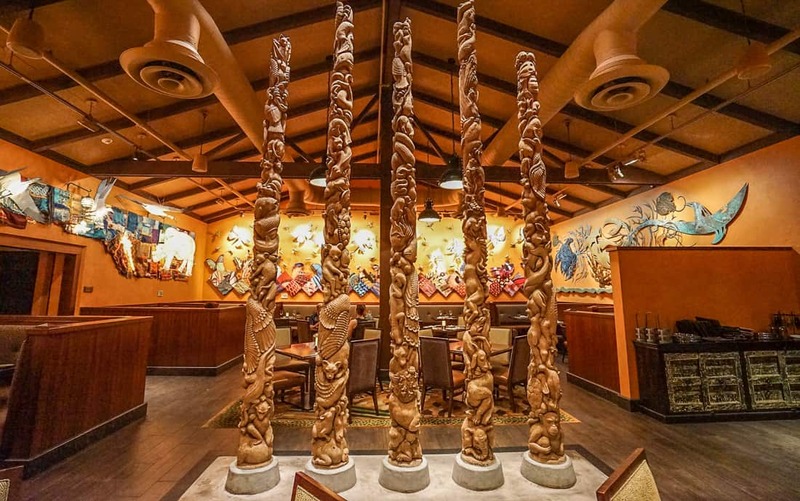 Animal Kingdom offers a new sit down restaurants, Tiffins. It’s more upscale atmosphere reminds me of Jiko at Animal Kingdom Lodge. Our server had come from Victoria & Albert’s, and his excellent service was in huge contrast to the rushed, hurried energy we felt in the middle of our park time and Fast Pass reservations. He wanted to tell us about each dish, and we simply had no time. We are eager for our upcoming second meal there to savor more. Tiffin’s in Animal Kingdom is a new upscale option with a strong menu. There is a large lounge and bar, too, for a park break of coffees or cocktails. My husband had a beautiful entrée that he stabbed with his fork when I photographing the decor of the restaurant, hence no photos. We are returning soon and will post new food pictures. Epcot’s World Showcase give this park’s dining options a leg up. 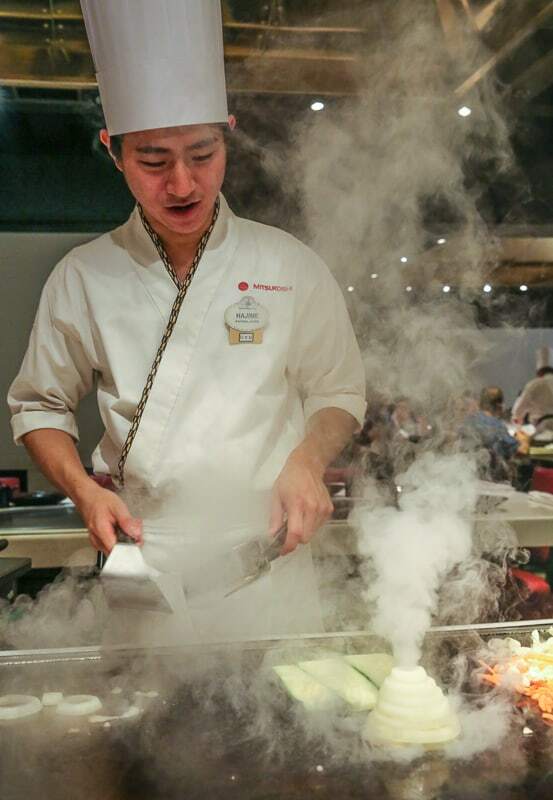 Teppan Edo’s hibachi isn’t unique, but it is a fun, tasty experience. Epcot is in a different league in food offerings compared to the other parks because of its World Showcase. It offers stores and restaurants somewhat authentic to each of the countries represented: Mexico, China, Germany, Italy, Morocco, Japan, France, Great Britain, and Canada. We tend to eat lunch on the future side because we are still in between our Fast Pass ride reservations, so the Coral Reef restaurant is an extensive seafood restaurant with views of the Epcot aquarium. Our entrées were well prepared. I haven’t tried the Garden Grill, as it is housed just a little too close for comfort in the same building as Epcot’s 9-pound lemon one sees on the Living with the Land ride. GMOs, anyone? Via Napoli really did replicate the pizzerias I have enjoyed in Naples, and their all-Italian staff gave it a transporting feeling—not a plate of spaghetti and meatballs in sight, though not a place to go while avoiding gluten or counting calories, but the food seemed very fresh. The world showcase is so fun in theory, but not every country’s cuisine is represented well. If you know Moroccan food, Marrakesh is a disappointment in that the menu is modified to placate American tastes, but the live entertainment is fun. We’ve always had to go over to the Japanese pavilion food stands to get our little ones edamame beans to stop them from protein-crashing, and Teppan Edo is a favorite for my children. It’s not different from most hibachi experiences, but Disney does it well, and my kids always ask to go back. 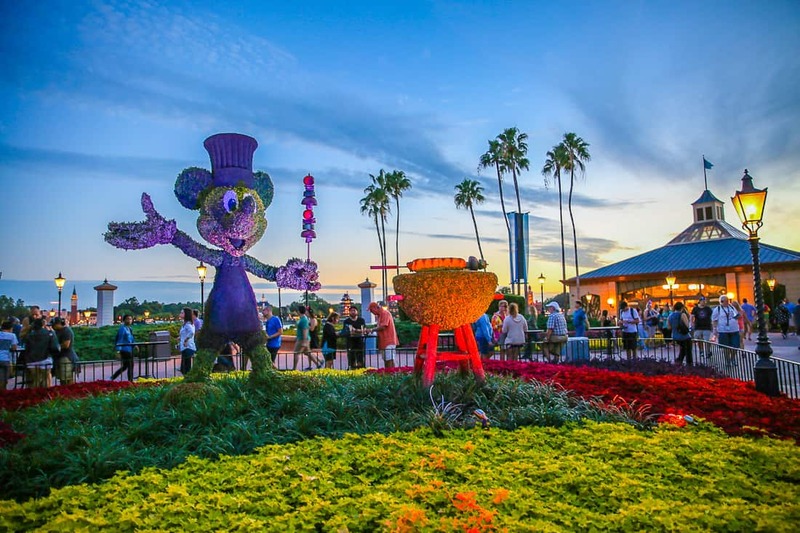 In the fall, the Epcot Food and Wine Festival offers many other great ways to enjoy Disney’s best food. Several stations throughout the park serve tapas sized bites and feature speciality wines and cocktails, too. 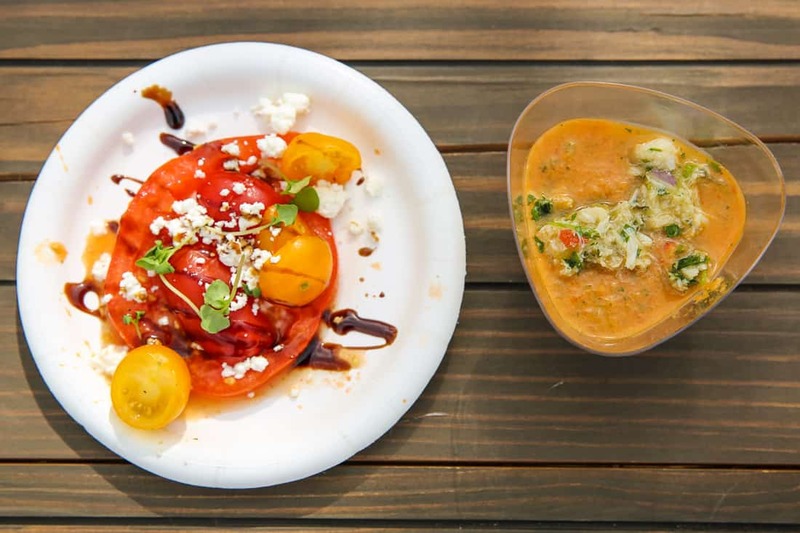 Small plates, tapas style, are special offerings at the Food and Wine Festival at Epcot. For me, Hollywood Studios has no great restaurant for food. The Sci-Fi Dine-In Theater and the 50’s Prime Time Cafe are certainly experiences, but the food isn’t particularly impressive. Although I love the concept behind the 50’s Prime Time Cafe, trying to avoid its caloric retro comfort food here is impossible without eating a plate of iceberg lettuce. 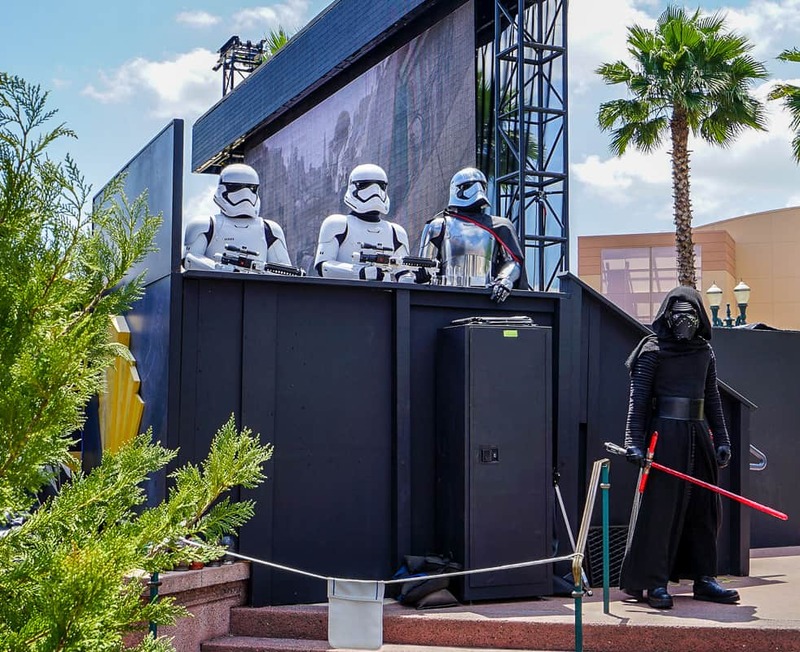 Come for Star Wars, but don’t stay for Disney Hollywood Studio restaurants. The Brown Derby Cafe claims to be the park’s signature restaurant, but our meal there fell far below Disney’s service standards. Our waiter got every one of our orders wrong, and the staff seemed completely overwhelmed serving underwhelming dishes. We now hit this park outside of meal time and plan around the Star Wars fireworks. My family and I didn’t even finish this dessert sampler at the Brown Derby. Lunch at the Disney resorts is forgettable. Usually only the quick-service or poolside restaurants are open. This is where the off-property resorts really shine. The Four Seasons offers a wonderful poolside restaurant called PB & G and a Cuban inspired restaurant at their golf club house called Plancha. Neither require a reservation typically and serve wonderful food. 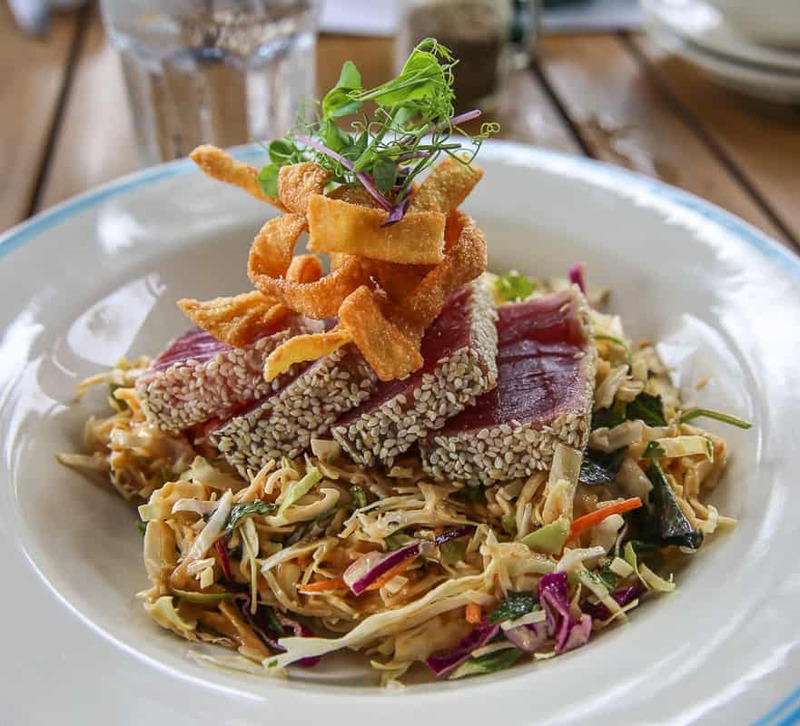 An Ahi tuna salad available the Four Seasons Orlando restaurant PB and G.
Lunch at Disney Springs has come a long way since the days of the now closed Wolfgang Puck cafe. 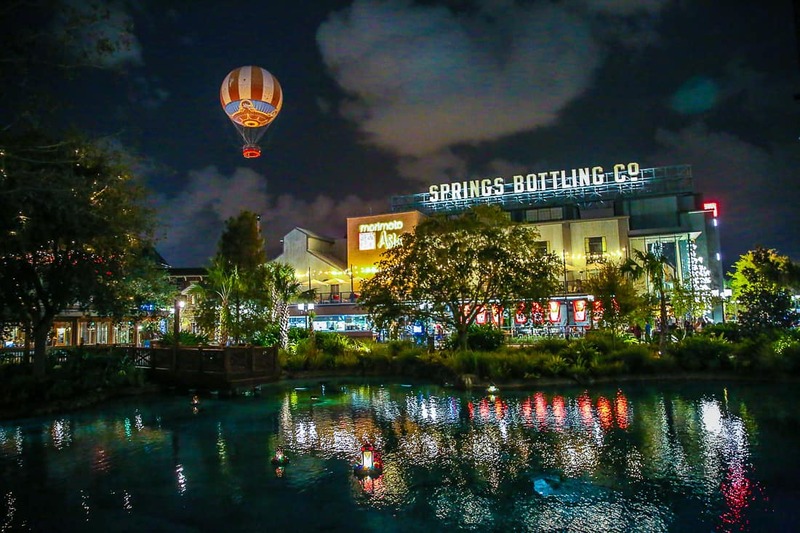 The former Downtown Disney continues to open new restaurants as part of its vision to become a shopping and eating destination independent of the theme parks. There are hits and misses, and I feature all of the best new restaurants in this article. 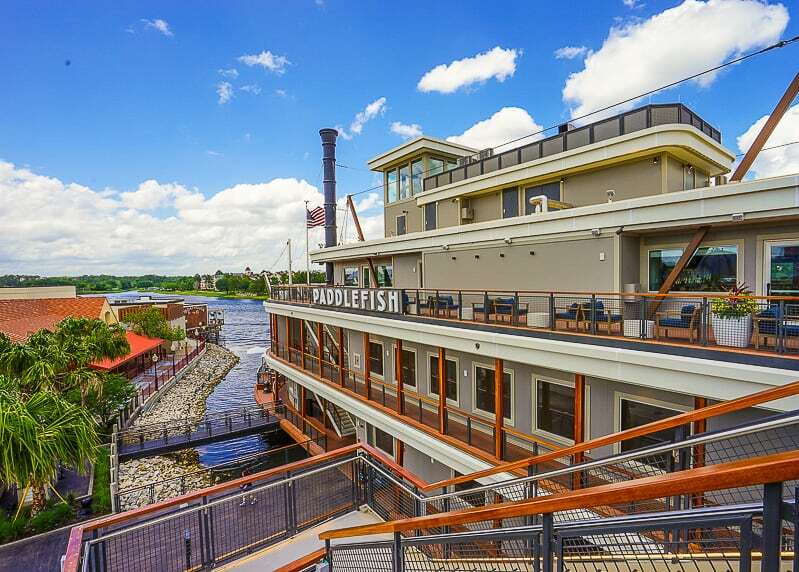 Disney Springs continues to open new restaurants in 2018, including The Edison. Dinner is where there are real opportunities to eat well. The signature restaurants at the Disney resorts are typically strong in service, food quality, and atmosphere. Here’s our list of those that stand out the most. Capa is the signature restaurant that occupies the penthouse level of the Four Seasons and is definitely worth a visit. Capa blends a tapas menu with a standby of well-executed steakhouse favorites with a Spanish lens. 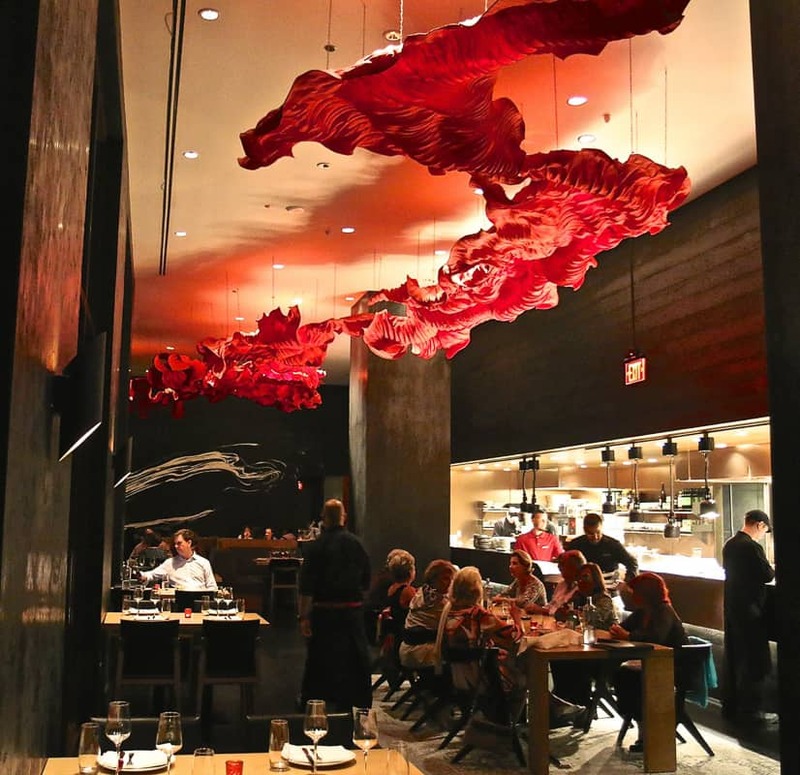 Its black interior and red ceiling installation are meant to evoke the billowing ruffles of a flamenco dancer’s skirt. The atmosphere at Capa is a sophisticated respite from the theme parks. The views are incredible of all Disney parks’ fireworks, and the atmosphere is undeniably adult and festive. Since this is the Four Seasons, and they know how to cater to their youngest guests with ease. They’ll rush a second plate of steamed broccoli to your kids when they finish their first. I have been too intrigued by the various tapas on each visit to order an entrée, yet, but on each visit, two of the three items I order are always incredible. 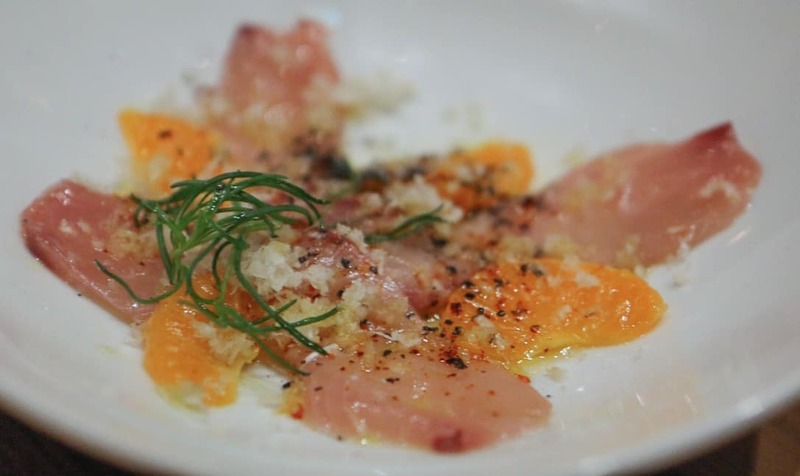 I can still taste the rock salt, clementine, and hamachi crudo pictured below. Service is attentive and meets the standards of any Four Seasons. Capa offers tapas and a Spanish infused menu. I waited far too long to try the California Grill. It is, in my opinion, some of the best Disney World food you can get, especially that is family-friendly. It is a hard reservation to get, one you should you try for the second you begin planning your trip. 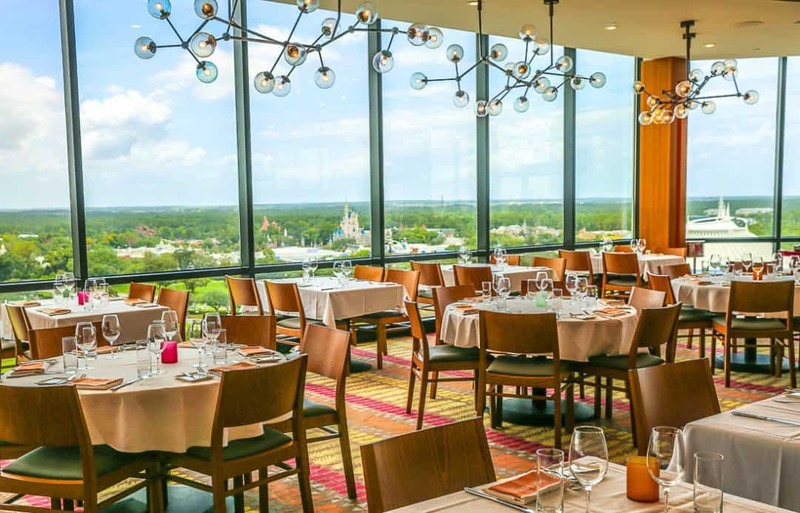 This restaurant on top of the Contemporary Resort offers incredible views of the Magic Kingdom fireworks each night, with the music piped into the restaurant and on its two viewing balconies. But what equally impressed me was that I felt transported to San Francisco when I left the elevator with its mid-century California design, the extensive wine and sushi selections on display. There is a really vibrant energy here that makes you feel like you are at one of the hottest new restaurants in the Mission neighborhood. If the conversation weren’t so loud, one would probably hear Steely Dan piped through the speakers. California Grill offers a weekend brunch that is as outstanding as its dinner. Our server had been at this same Disney restaurant since it became California Grill. Prior to that, it was some sort of dinner cabaret. The staff was a well-oiled machine considering the volume of business they handle each night. The servers are excellent orchestrating when to place your order with the kitchen in reference to the fireworks viewing. The food was a far cry above any other signature Disney restaurant we have enjoyed and will now become the first table I reserve on an Orlando vacation. While Narcoossee’s receives so much attention because of its patio views of the fireworks, Citricos is often overlooked. Don’t miss out. The restaurant’s only flaw is that its interior design is extremely dated looking. I felt like it was still the 1990’s, and I was eating in a Las Vegas strip hotel. It takes away from the sophisticated menu, but the second story window views of the Grand Floridian’s property help make up for it. Once this restaurant makes Disney’s list for refurbishment, it will be glorious. It’s the closest thing you can get to a meal at Victoria& Albert’s while dining with your kids. Our service and entrées were excellent, and it has secured a spot among our favorites now for a good meal. And it always has availability when California Grill and Narcoossee’s do not. Blue Zoo at the Dolphin is consistently good. Blue Zoo is Todd English’s seafood restaurant inside the Dolphin hotel, which is an easy walk or boat ride from Epcot or the Beach and Yacht Club. 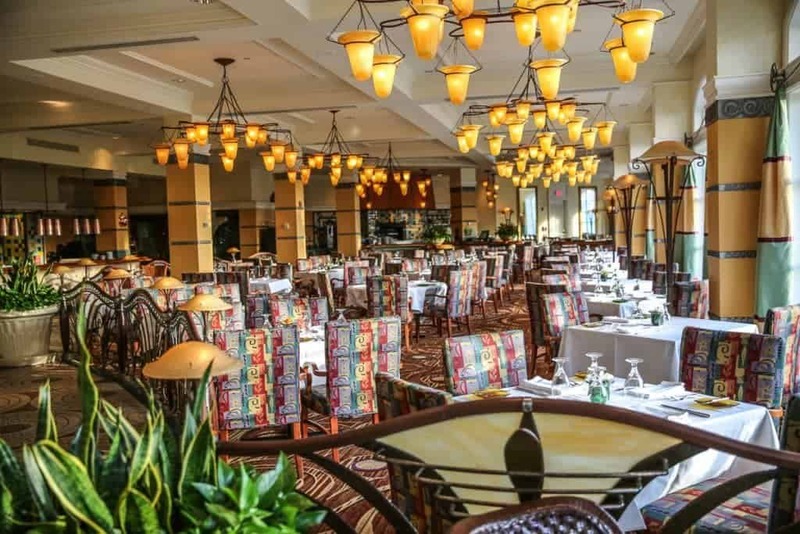 Because the Swan and Dolphin are Starwood’s leading Orlando convention hotels, the restaurants are very strong and designed to appeal to business travelers on expense accounts. Blue Zoo features dancing fish, whole fish who pirouette while roasting on skewers inside a transparent oven. 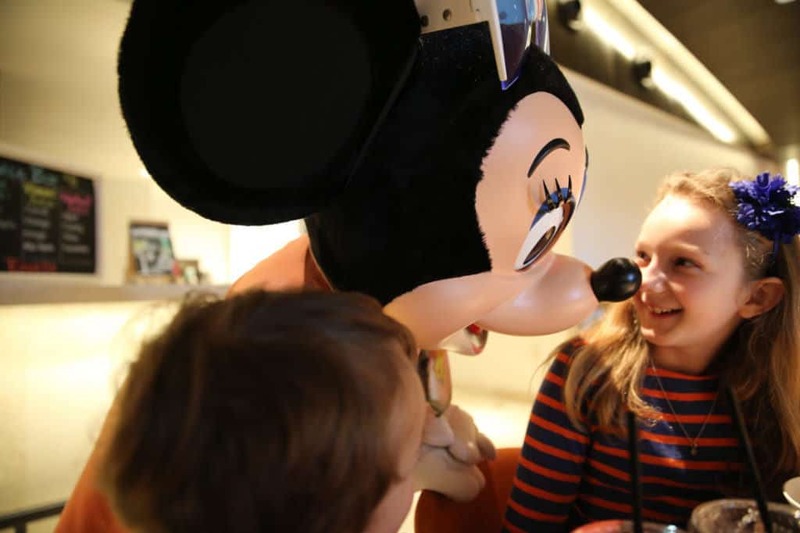 Even though there is less of a Disney vibe here, the Swan and Dolphin properties are just as committed to making their restaurants family friendly. 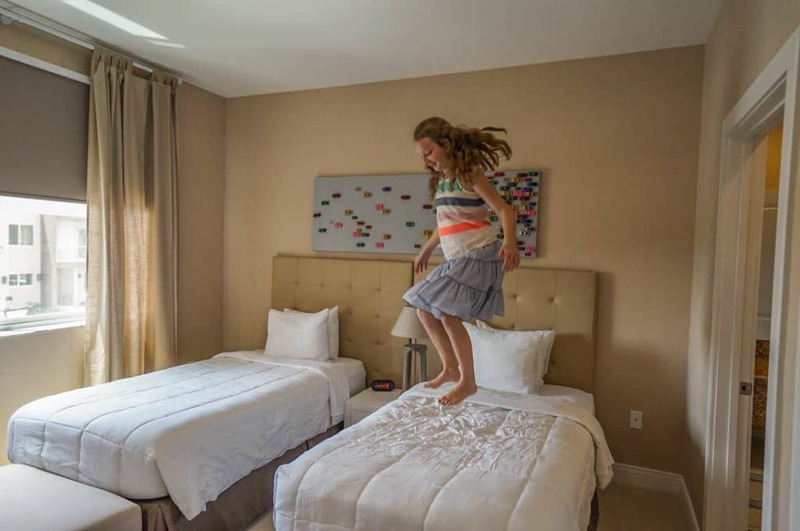 A nice feature at the Swan and Dolphin restaurants compared to the Disney resorts is that Camp Dolphin offers two free hours of childcare for every adult who purchases and entrée at one of their signature restaurants. Kids watch movies and color; it’s not an elaborate night time program. But if they dine with you, see if the menu still offers this dessert to delight them as much as it did us. For complicated diets and food restrictions, sometimes the best place to eat while visiting Disney World is in your own villa kitchen, so that you can replicate— as easily as possible— the meals you and your kids eat at home. For groceries, we love the really extensive selections at the Whole Foods in the Doctor Phillips neighborhood. Its offers many take-home salads, snacks, and entrées. 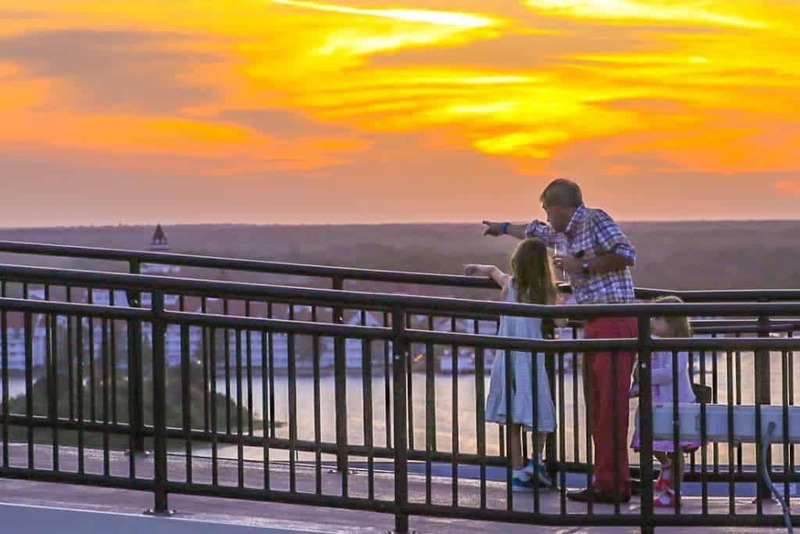 It’s an easy drive if you leave the Disney resort area by the Fort Wilderness and Four Seasons resorts, but there is also a delivery service for a flat fee. Magic Village offers three and four bedroom villas with open floorplans and patios with grills for those who feel like cooking. When we want a kitchen for cooking, we like the newer Magic Villas next to Animal Kingdom for their beautiful open kitchen and living rooms. They also have outdoor grills and dining furniture on their patios. The Villas at Grand Cypress are another great option, and they have the added resort benefit of room service. Disney’s villas have kitchens, too, like the Grand Floridian, but full kitchens are only included in units with one or more bedrooms. Given these larger units are often $1,000 a night while nicer counterparts offsite are often only a third, the value equation doesn’t make sense to me. There are endless home and villa rentals in the area, and one could rent a large home with a private pool and hire a chef or have meals catered for much less than $1,000 per night. Book your advance dining reservations immediately! For those a little green about planning Disney World trips, restaurant reservations begin approximately six months prior to your arrival. 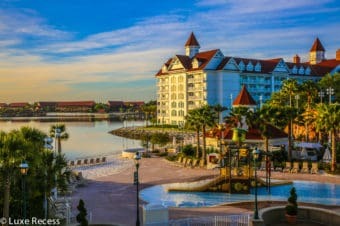 If you already have a Disney resort reservation in the My Disney Experience app, your reservation window will open 180 days before check in for the entire length of your stay. The most difficult reservations to obtain will be easier to book on your last days of trip. I explain this more in my guide to planning a Disney vacation. Some meals will be the highlight of your trip, so planning at least six months out for your vacation is a smart thing to do. Certain tables are difficult to get and will require booking the day that six-month window starts. The hardest tables to secure will be Be Our Guest, Cinderella’s Royal Table, Victoria & Albert’s, and California Grill during the fireworks viewing times (those vary by season, so do some research by checking park closing times during your visit), and Crystal Palace. 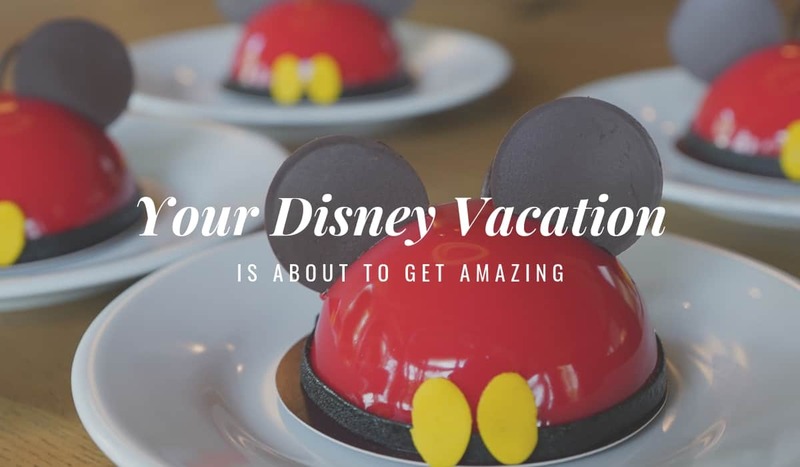 The Tusker House, Citricos, Capa, the Goofy Breakfast at the Four Seasons, Blue Zoo, and Disney Springs restaurants will have availability when the most popular Disney park and resort options are already booked. 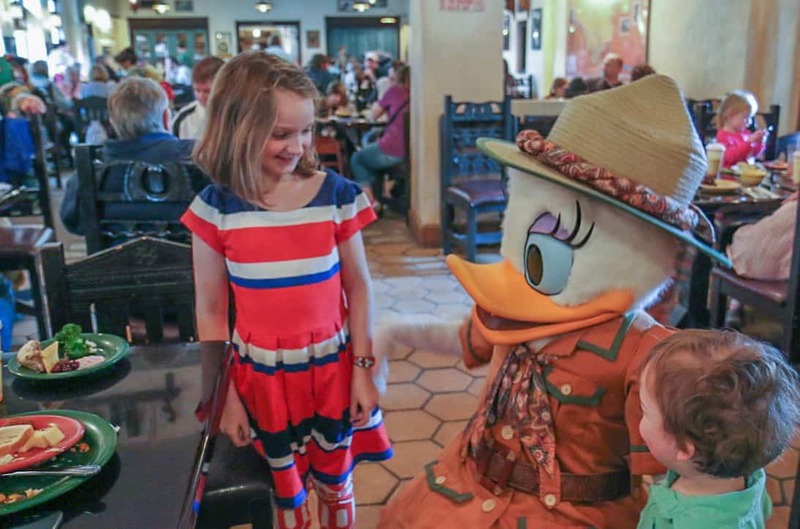 It’s a question to consider whether the Disney Dining Plan is worth purchasing if you are staying onsite at a Disney resort. 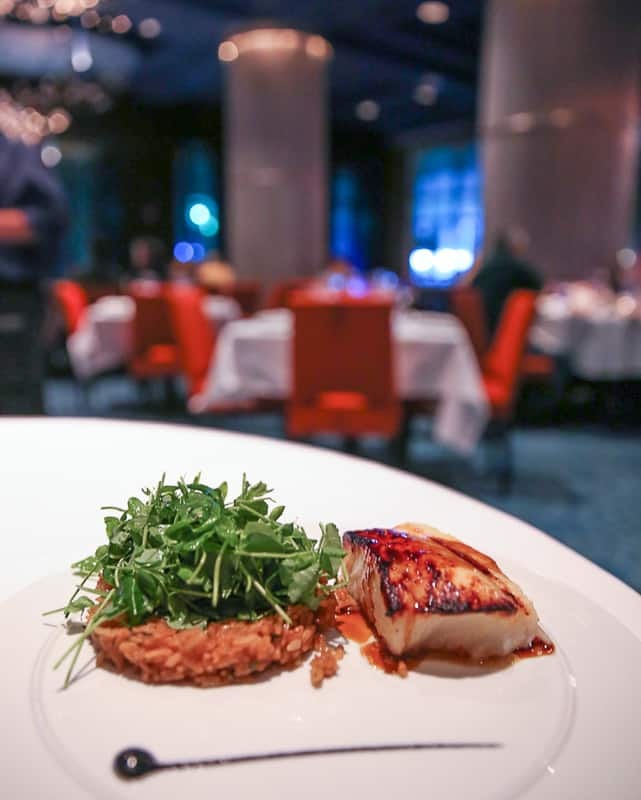 Even though we love the more expensive signature restaurants, it never proves to provide any savings because the plan offers much more food than we would order. While Mickey Check Meals make entrées easier for kids like grilled chicken, it’s hard to find an exciting healthy snack. What parent can sell, “Are you sure you don’t want a banana instead of a Mickey Bar?” Right. Even with the introduction of one alcoholic drink per meal in 2018, the dining plan is probably not worth it unless you want to find a plan whose meal allowances match how you eat on vacation. Catching a sunset from California Grill’s penthouse decks. Citricos, Jiko, and Flying Fish Cafe for solid dinners at the Disney resorts. Love eating Mickey, here’s a complete guide to Disney character dining. I completely agree with the tip for heading to Whole Foods! Did that & Doing that on our next trip! Great Read! Boma buffet? I liked that better than Cinderella’s Royal Table, Tusker House and Polynesian breakfast. I am about to return to Boma soon. I remember it fondly, and will gladly add it to this list. Cinderella changed its menu in recent years and was significantly better the second time. Not the best character meal for food, but the overall experience is worth doing at least once, I think.